Ventura Broadcasting Company is located within Ventura TV’s original and still operational retail building located at 3619 E. Ventura Ave. in Fresno, CA. 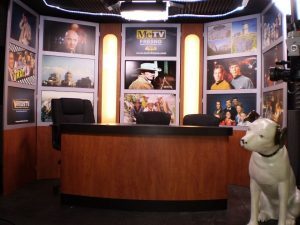 While VBC’s master control, production center, and Studio B: Green Room are located on the second floor of the retailer’s building, the store’s showroom features Studio A, a news-talk show set designed for live, call-in broadcasts. This Globcaster by GlobalStreams powered 3-camera custom set features a wood paneled backdrop with interchangeable graphic boards and a 32″ HD monitor for show b-roll and video clips. The set accommodates a host and up to two guests and is operated by a crew of 3 including a director, floor director, and call/audio board operator. This Atem Television Studio by TeleStreams powered 3-camera custom green screen studio featuring ProCyc Green Screen, studio lighting and 50″ HD monitor is ideal for custom productions requiring chroma keying and virtual backgrounds. The set accommodates between 3-5 guests/talent and is operated by one technical director. The facilities is used for a variety of productions ranging from station and advertiser promos, talk-shows, interviews, and weather. 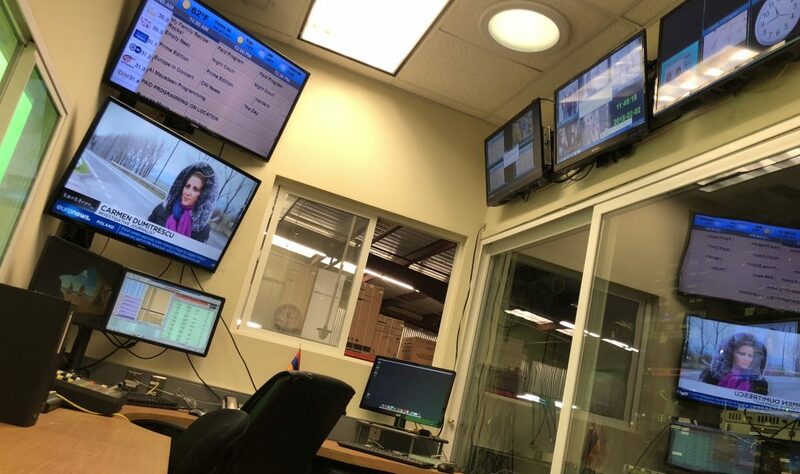 Ventura Broadcasting Company’s state-of-the-art master control center used the latest in IP broadcast technology and houses all of the equipment used to broadcast over two dozen stations.